Three days ago, Diamond Platnumz confirmed that he bought his son Dylan a mega mansion. 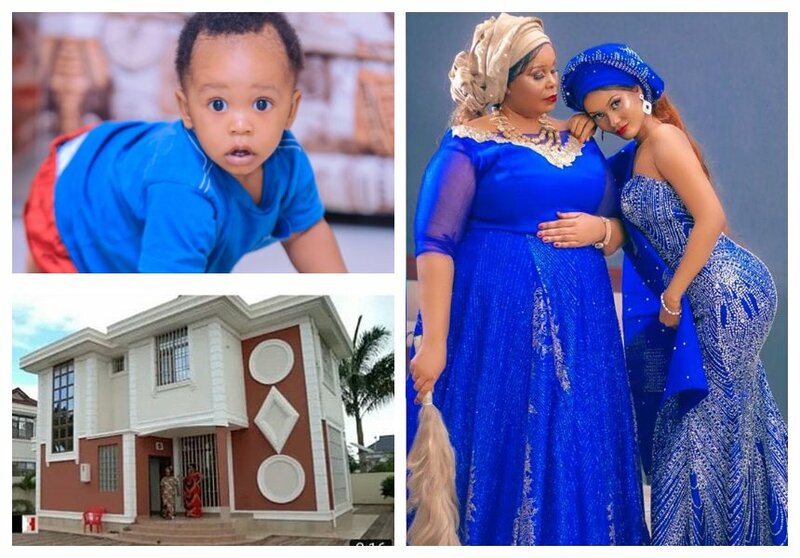 The singer decided to buy the house after his baby mama Hamisa Mobetto was kicked out of Madale home by Sanura Sandra. Hamisa stays in the new mansion with her mother Shufaa Lutigunga and other child Fantasy. In an interview with Wasafi TV, Hamisa’s mom thanked her grandson Dylan for coming into their lives. Shufaa acknowledges that without Dylan they would still be tenants. She stresses that the house was bought for Dylan and not for Hamisa Mobetto. “Hamisa hajanunuliwa nyumba, kanunuliwa Dylan ndo mwenye nyumba. Mimi nimemshukuru mungu, kwanza namshukuru mjukuu wangu kwa kuja kwenye maisha yetu. Bila Dylan tusingekua hapa, yeye hasa ndo chanzo ya kila kitu. Mume wangu (Dylan) ndo namshukuru, baba mukwe pia,” said Hamisa Mobetto’s mother. Hamisa’s mom also said that Diamond has the keys to the mansion, and that he is welcomed to the house anytime because it is still his home.